I have always said that if you want accurate information about stem cell research and its possibilities, you should be reading the business section. Anything else is probably misleading, hyped or even flat out lies. In other words, follow the money. The money will tell you what is truly promising research. The money is painting a very clear picture of what pro-lifers knew all along: adult stem cells are worth investing in. Embryonic? Well, they haven’t lived up to the incessant hype surrounding their potential. In 2001, President George W. Bush decided to restrict federal funding to existing embryonic stem cell lines. His opponents in California responded by promoting and winning a voter initiative to provide $3 billion over 10 years to stem cell research, especially the kind that uses human embryos. In 2007, the newly created California Institute for Regenerative Medicine kept its promise and spent $121 million on human embryonic stem cell research. Of 100 grants the institute issued in its first year, not one went to a project that used adult stem cells, Mr. Tarne said in his July 2012 report for the Lozier institute. By 2012, though, the institute’s funding had shifted course — it gave 15 grants, worth about $50 million, to non-embryonic research projects and six grants, worth $19 million, to embryonic research projects. Mr. Tarne found a similar pattern in Maryland, another state with an active stem cell research community. In 2007, the Maryland Stem Cell Research Commission funded 11 projects that used human embryos and four that used adult stem cells. This year, though, the Maryland commission funded only one embryonic stem cell project and 28 non-embryonic projects. Unfortunately, it is not enough. Human embryos are still being destroyed for embryonic stem cells. Last week, King’s College in London proudly announced that they have provided 16 new embryonic stem cell lines to the United States’ National Institutes of Health (NIH) registry of stem cell lines eligible for federal funding. 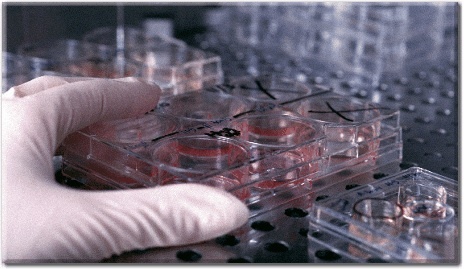 They have created these stem cell lines with a variety of genetic disease for U.S. researchers to work on. These “disease-specific” stem cell lines were created by searching for IVF embryos with genetic disease and destroying them for their stem cells. Our jaded, modern mind cannot comprehend the horror here. There is a seek-and-destroy mission for embryos with genetic disease. These little lives are condemned in pursuit of cures for others with their same genetic condition. They are being destroyed for research that is intended to help them; that is if they were allowed to continue living. I think Orwellian is the right word. So while the money shows a shift toward ethical research, embryos are still being destroyed and we are still funding research using the stem cell lines created. We need to stay vigilant, keep praying, and keep voting for pro-life candidates that understand the inherent worth of a human embryo. With the announcement this year that Oregon researchers successfully cloned human embryos and extracted stem cells (and still no federal ban on cloning or research on human embryos), it is imperative that the funding trend continues to move in the ethical direction.